Did you know that the skin is the largest organ in the human body? In an average adult, it weighs about eight pounds and takes up 22 square feet of space. Taking care of it and following a skincare routine that includes vitamin applications is important. But what specifically should you do? Most people have heard the old adage: “You are what you eat.” This is so true in many ways, including how diet affects your skin. Most vitamins for skin you can get through the foods you eat, but there are vitamins on the market that you can take to supplement your skincare routine and enhance your natural beauty. A well-balanced diet that includes abundant fruits, vegetables and whole grains benefits your health by protecting your organs — including your skin. Many of the vitamins in those foods offer anti-aging properties, sun damage control and acne care. They can also be skin hydrators and function as a stretch marks helper. 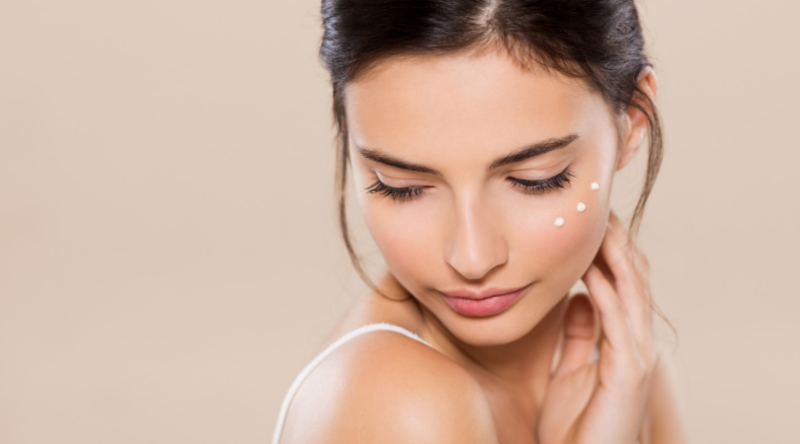 In addition, certain vitamins can reduce the appearance of dark spots. These are some of the top vitamins for skin that may help you maintain youthful skin and give you a healthy glow. Vitamin A helps prevent sun damage by stopping the breakdown of collagen. It can also help fight the signs of aging (retinol is a derivative) and serve as acne care. More benefits include protecting your vision and keeping lung cancer away. Find vitamin A in beef, eggs, dairy, spinach, kale and apricots. Eat foods rich in beta carotene (carrots, sweet potatoes, butternut squash) because it converts to vitamin A.
Vitamin B3 (aka niacin) is found in many beauty products as a derivative known as niacinamide, which can help reduce signs of aging and improve skin brightness. Find it in liver, chicken breast, ground beef, turkey, salmon, avocado, brown rice, whole wheat, peas and potatoes. Vitamin B5 (pantothenic acid) serves as a skin hydrator by absorbing moisture from the air. It also has anti-inflammatory properties to help heal wounds. 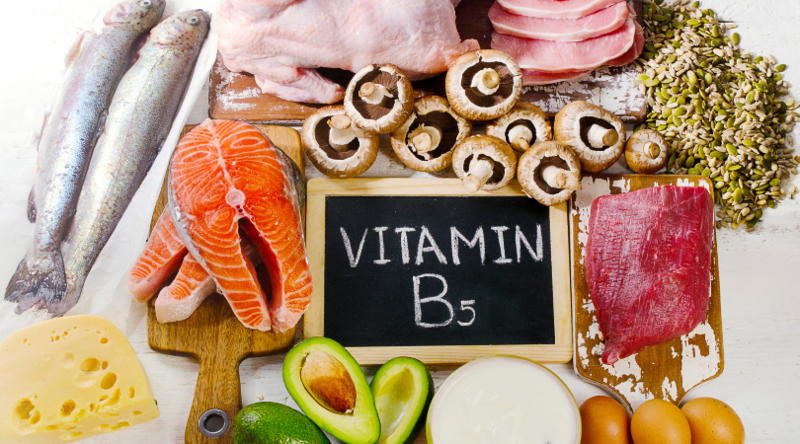 It’s difficult to get enough vitamin B5 from food (whole grains, chicken, avocado), but you can take an oral supplement or just reap its benefits through skincare products. Vitamin B7 (aka biotin) is water-soluble and nourishes hair, skin and nails. It stimulates hair growth, which makes it thicken and look more lustrous. Biotin can often correct dry skin caused by a vitamin H deficiency. To benefit from this vital vitamin, you need to take a supplement. Vitamin B9 (folic acid) is crucial to the creation of new cells, tissue growth and brain development, which is why pregnant women need to include it in their diet. It is thought to help prevent birth defects and also increase the chances of conceiving. It helps eliminate toxins from the body, thus reducing facial acne. Don’t overdo it, though, because it can have the opposite effect. Find folic acid in spinach, lentils, citrus fruits, melons, mushrooms, asparagus, pork, poultry, dried beans, peas and legumes. 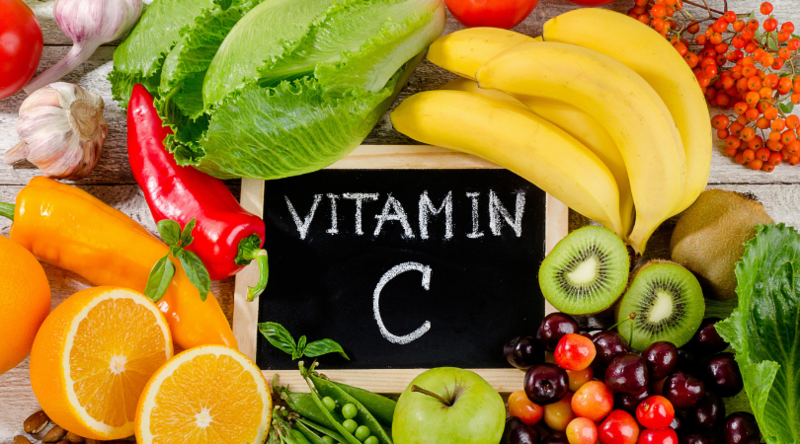 Vitamin C is a strong antioxidant that may help reduce your risk of getting skin cancer while also protecting you from free radicals. It also helps collagen keep its shape (and your skin supple), may lower your risk of skin cancer and protect you from free radicals. Citrus fruits and red bell peppers are excellent food sources of vitamin C.
Vitamin D, the “sunshine vitamin,” is made when the skin absorbs sunlight. It helps skin cells grow and may even help treat skin conditions such as psoriasis. In addition to being in the sun, you can get vitamin D from food sources such as milk, fortified cereals, mushrooms, fish and eggs. Vitamin E does a good job absorbing energy from ultra-violet rays that can contribute to wrinkles, sagging skin and cancer. This oil-soluble vitamin helps keep your vitamin A stores up to snuff and is very good for your hair. It may even help with hair growth. Foods rich in vitamin E include wheat germ oil, sunflower seeds, almonds, abalone, peanuts, Atlantic salmon, lobster, avocado, rainbow trout, mango and kiwi. Vitamin K is known to be a stretch marks helper. It helps blood clot and heals wounds, and can reduce the appearance of spider veins, scars, dark spots and under-eye circles. Spinach, kale, lettuce, cabbage and green beans are all good sources of vitamin K.
Zinc isn’t really an antioxidant, but it still plays an important role in keeping your skin healthy. It’s a mineral that helps deter free radicals and protects the skin’s lipids (fats) and fibroblasts, the cells that make collagen to support the skin’s structure. It can help heal wounds and protect against UV rays, control inflammation, rejuvenate skin and may even prevent acne flare-ups. 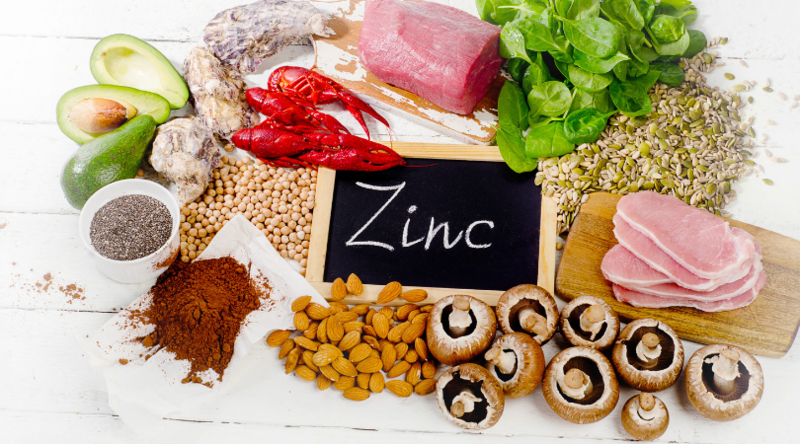 Take a zinc supplement or get it from eating chicken, lean beef, beans, chickpeas and fortified cereals. 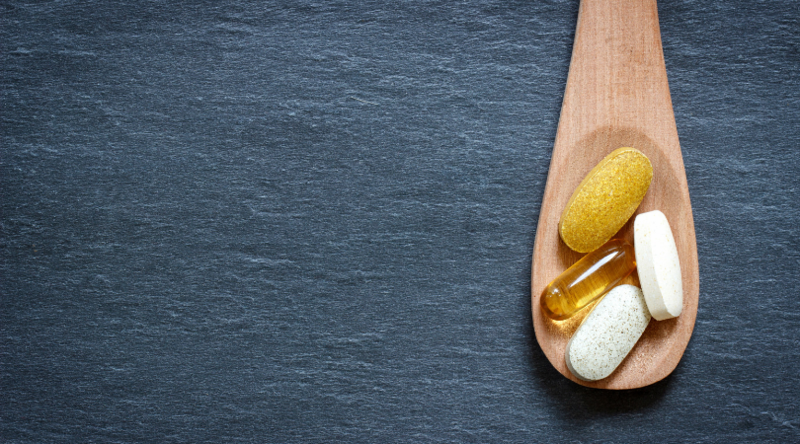 If you don’t think you’re consuming enough of these valuable vitamins from food to keep your skin healthy or don’t want to take individual supplements, consider taking a multivitamin. In addition, make sure that the skincare routine you follow includes products with vitamins and minerals. Do you enjoy learning about make-up and skin, hair and nail care? A career in cosmetology may be right for you. Florida Academy in Fort Myers offers beauty and wellness programs that will teach you the latest techniques and professional services in cosmetology, skincare, nail technology and massage. To learn more about starting your cosmetology career — one that O*Net OnLine says is projected to grow by 16 percent in Florida alone between 2014 and 2024 — contact Florida Academy today. Yes, you may contact me. I understand that by submitting this form, I may be contacted by Florida Academy or its representatives by phone, SMS, email or postal mail. Data rates may apply. Ready to discover your passion? Get Directions to Florida Academy!